Why cover this game again when our own Henry Badilla reviewed it near the end of last year? Well, Happinet Corporation saw fit to put it on the Switch and PS4 while adding “Haunted Dungeons” to the title. Now you can ascend a Japanese castle, destroy yokai and stop an evil sorcerer on consoles! But what, if anything, is different between this and its original Hyakki Castle incarnation? The most obvious difference is the controls. 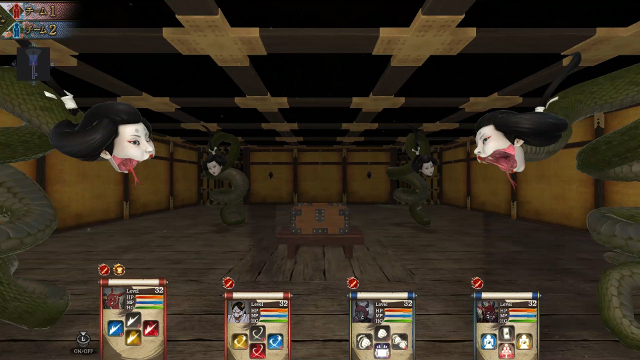 The original Hyakki Castle is a PC game which heavily uses the mouse for things like selecting attacks, opening doors, navigating menus and flipping switches. When using a controller it assigns each character to a shoulder button or trigger for combat. This version uses one of the triggers as an all-purpose activation button and the other to split the team up. Since that conflicts with the prior controller layout, the shoulder buttons scroll between the four characters to decide who’s attacking. Overall the control scheme, while slightly less versatile in combat, still works quite well and is easy to pick up. By the second level I was scrolling between characters mid-battle without a second thought. Unfortunately, when it comes to inventory management, the mouse is sorely missed. 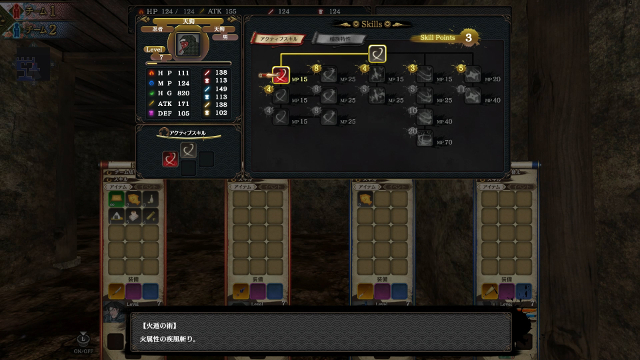 Everyone has 15 item slots and stackable items can only be moved between characters one at a time. Since it’s too cumbersome and time-consuming to distribute items evenly, one character ends up hoarding all the food and healing items. It’s much easier to just distribute everything to the other three party members as they need it. Every move you make, every step you take, I’ll be watching you. Aside from the controls, clarity seems to be a major focus for Haunted Dungeons. Text displays in a more uniform printed font instead of the smaller, pseudo-handwritten style of the original. This applies everywhere, including the item descriptions in the inventory. The old font was small enough to fit four lines in the inventory text box, but the new one only fits three. Sometimes when an item description is too long, you’re supposed to be able to hit a button to enlarge the text box and see the whole thing. Half the time this works, and half the time the text box expands to show the same incomplete description. Fortunately, not every change backfires for Haunted Dungeons. Skill menus now display how much mana each spell or ability consumes. Certain English translations were changed to be easier to read, though the occasional hiccup like “Press press the Right Stick” manages to slip through. The main menu now includes a tutorial to explain all aspects of the game. Character creation starts with a couple screens explaining what every choice and statistic means, as well as how things like mana regeneration and hunger work. Load screens between levels, rather than being completely blank, flash some art and either backstory or a tip on how to play the game. Is the stronger spell worth the slight mana discount? Usually, yes. On top of making the game’s mechanics easier to understand, there seems to be a major focus on simply making things easier to see. The user interface and in-game menus were altered, namely by swapping out the flames symbolizing a character’s health, mana and hunger for colored bars. Perhaps it’s due to my color blindness, but when some of the bars drain too far and start flashing red, it’s hard to tell if they’re empty or not. The second big change is to the game’s structure. Aside from every boss in Haunted Dungeons showing a health bar, some have an extra phase which doesn’t happen in the original release. In several levels, parts of the floor plan are different from the PC version. This also changes the types and locations of some enemies, so it’s not the exact same game on a different platform. Some of these come off as redundant, though. Remember how I said the game has a tutorial available in the main menu? The first level, instead of having the samurai reunite with his/her captured comrades, is now the tutorial. Also, several notes in the first few floors of the castle are replaced with reminders about how certain mechanics work. It’s one thing to make sure players know what they’re doing, but reminding them how to split the party after doing so to solve a puzzle or two is excessive. That’s the face of a yokai that knows it’s about to get exorcised. Graphically, Haunted Dungeons is a step or two behind its PC counterpart. It seems like some low-light and shadow effects were removed because this release is significantly brighter, to the point I could see all the way to the end of a hall six tiles long. For reference, the original usually gets too dark to see anything four tiles away. Aside from hurting the atmosphere of a dark castle filled with ghosts and demons, the brightness leads to another problem. Sometimes the draw distance extends way too far, leading to the occasional black hole where another part of the level is supposed to be. There were even times I’d see anomalies like parts of the environment, such as wooden beams above a doorway, flashing like a neon bar sign. All of that pales in comparison to the performance of Haunted Dungeons beyond the first few levels. The larger a map is, the more likely you are to experience consistent slowdown and frame drops. Typically this is caused by environment pieces rather than enemy count, as I experienced more lag in an open room with lots of jars and decorations than I did in a room with half a dozen yokai. It’s most obvious right after loading a file. At its worst I couldn’t move for a few seconds while the game finished popping parts of the level into existence. How badly do you want whatever is in that chest? 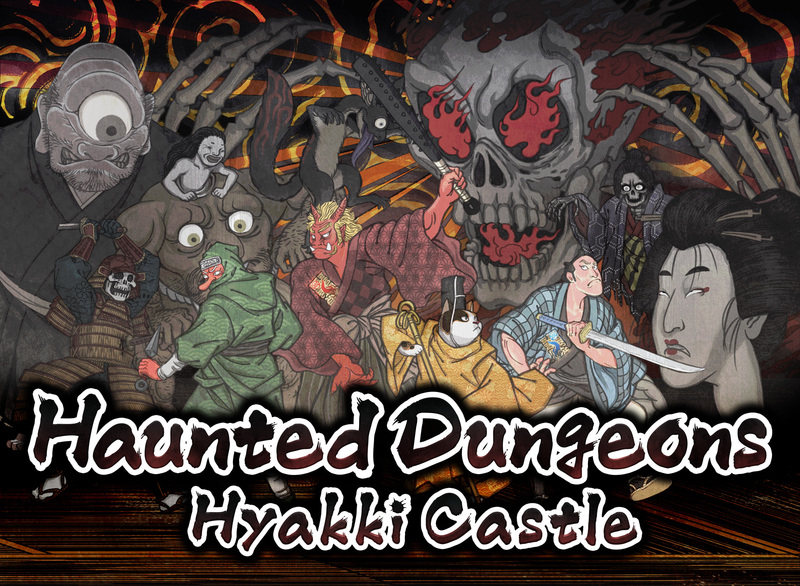 While Haunted Dungeons: Hyakki Castle faithfully retains the gameplay of its predecessor, it tends to run like the console barely exceeds the PC version’s minimum requirements. 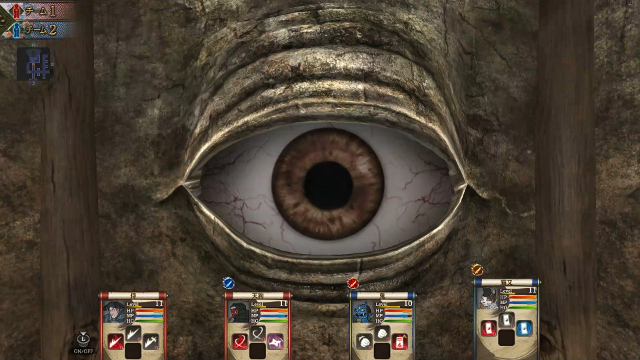 In spite of improvements to the game’s presentation, learning curve and user interface, too many changes end up undermining what were strengths in the original release. I’d only recommend it if having Hyakki Castle on console is an absolute must, the original game doesn’t run well on your PC, or you really want to save one dollar over the $15 Steam release. Next Post:Sentai Filmworks October Blowout Sale Starts Now!